The sight of a cockroach is never pretty or healthy. Cockroaches lurk behind cupboards, beneath the kitchen sink and in the plumbing of the house. You don’t have to put up with them. 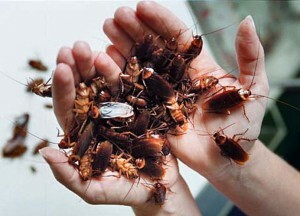 You can restrict their access to these areas of your house by hiring professional cockroach control in Perth services. With the objective of long-term roach elimination, we apply some principles that garner surefire results. We begin with a detailed inspection and then we add layers of security. We do not use harmful chemicals though, because we value your health and safety just as much as you do. Our cockroach control in Perth team advises you on the two most important factors that help in keeping cockroaches at bay. Prevention and sanitation. As a home owner, you must look out for cockroach droppings, secretions etc. These things are the key to their infestation. If you spot an area where there is cockroach feces, scrub that area immediately with soapy water. It is our promise to you that we will exterminate all cockroaches from your property, even from the most difficult-to-access corners. With the layers of protection we put, you can rest assured that roaches will no longer bother you. If you need urgent services, you can hire us whenever you need to. We will be glad to help you. Cockroaches are always around. The term cockroach control in Perth may bring an intimidating image to mind, with men wearing special suits and spraying harmful chemicals all around. But the reality is different. The truth is, we don’t use any harmful or toxic chemicals. Our method is environment-friendly, child-friendly and pet-friendly. Though there are many species of cockroaches, the worst kind is German cockroach. They are extremely difficult to control. They have a very short life cycle, they procreate very quickly and they have adapted to most pesticides. If you have spot a German cockroach somewhere in your home, contact us. We have the expertise to eliminate them from your property.